Although he’s been recording for over a decade under first the alias Appendix Out and now his own name, Alasdair Roberts’ rich blend of traditional song and avant-garde thinking still remains an undiscovered pleasure to many. The Glasgow-based musician, who has worked with Will Oldham, Isobel Campbell, Gerard Love (Teenage Fanclub) and members of the High Llamas, will debut songs from his forthcoming fifth solo album Spoils at a show in his home city this weekend. I think it’s different with each record, every one stems from a new series of aims and ideas I’m trying to work out. With the new record, I was interested in yoking together different outlooks and ideologies which could be contradictory – I don’t know if that comes through in the music, but it was certainly on my mind as I brought together musicians from different backgrounds. Does Spoils still retain quite a traditional feel? I don’t know. It certainly doesn’t sound like a ceilidh band (laughs). I grew up with a lot of traditional music in the background, on BBC Radio Scotland and on Gaelic radio, so this kind of folkloric stock seeps into what I’ve done to the point that I can’t tell whether it’s traditional or not. Are there any themes running through the album? Well, the first song is about the idea of eternal recurrence. It’s called ‘The Flyting of Grief and Joy’, from the old idea that a flyting is a verbal contest between opposing forces – it’s based on Hamish Henderson’s song ‘The Flyting of Life and Death’, although it doesn’t sound anything like it. These are the usual preoccupations, the usual things which people write songs about. There’s a song about a dream meeting with Ned Ludd, the leader of the Luddites, in which he proposes that the world should be desacrilised and rebarbarised. So one idea of the record is this idea that progress isn’t really progress, that everyone comes back to the same point. Might you ever go back to using the name Appendix Out? I started using my own name after a period of personal upheaval as a reassertion of self… or something. With hindsight, I’m not sure if it was the best thing to do, to dissolve the distinction between myself and the music I create. It let down a certain guard. No, I wouldn’t go back to Appendix Out, but I might use another alias in the future. 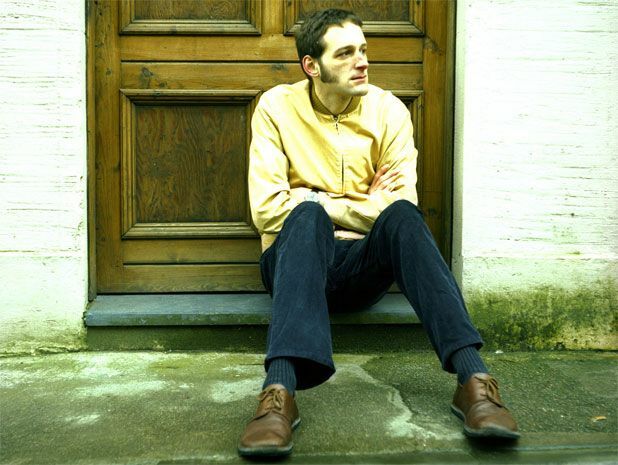 Alasdair Roberts plays Stereo, Glasgow, Fri 5 Dec.